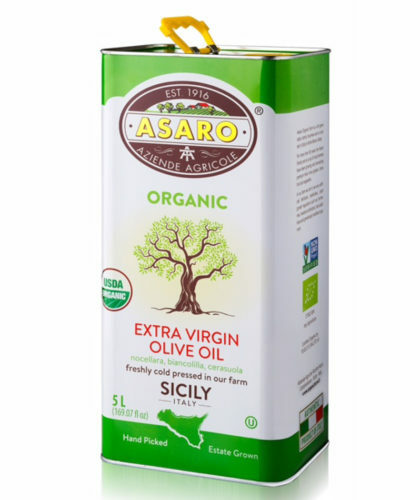 This Asaro Organic Extra Virgin Olive Oil is produced once annually during hte havrest time, and composed exclusively of 100 % “Nocellara del Belice” olives. 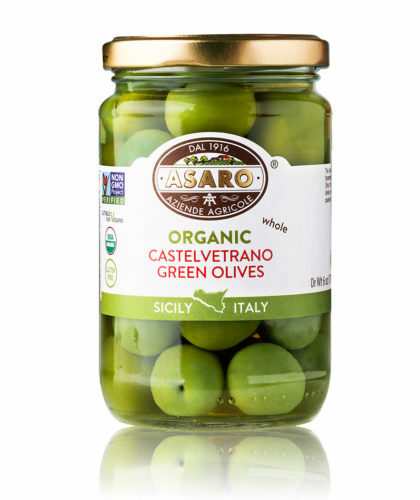 These are the most famous olives that come from the province of Trapani in Sicily. 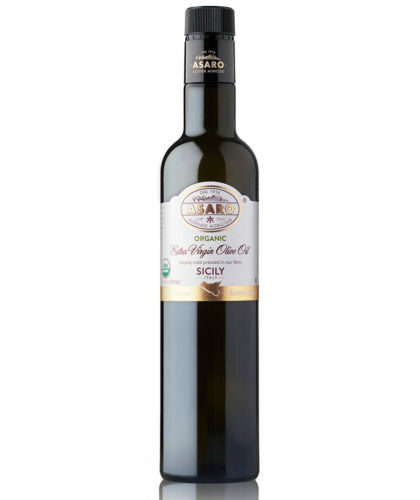 This unblended Nocellara del Belice oil has a very rich aroma, with notes of artichoke and almond with a slightly spicy finish. 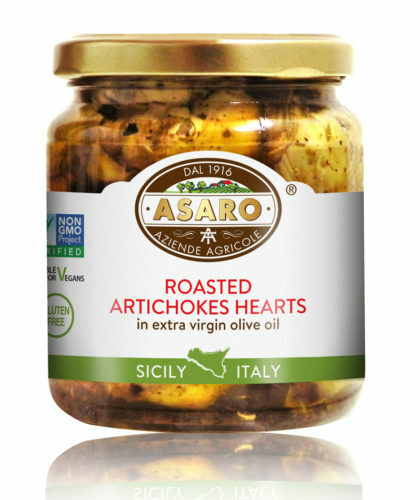 The flavor is long lasting and Asaro Organic EVOO is a very versatile oil, perfect for any type of kitchen use. 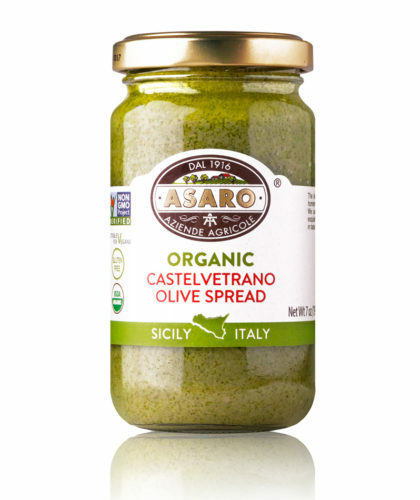 This clean, solid 100% EVOO can be used to garnish, soak and cook with, always elevating the flavor of food, never covering it. 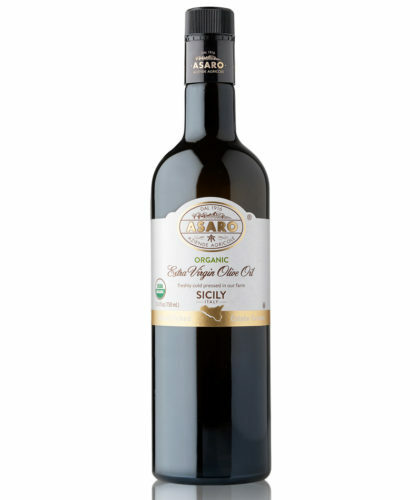 This high quality oil is pressed once a year and cannot be found anywhere else in the world. 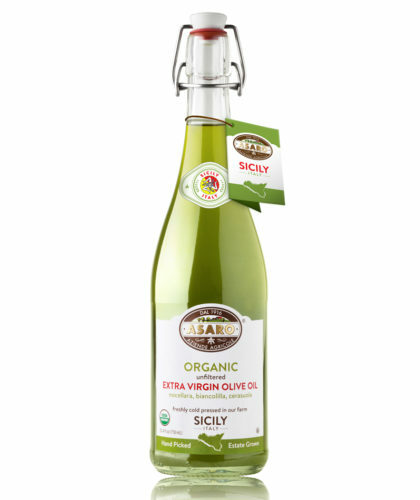 This is our finest unblended olive oil, and brings the true taste of Sicily to your home, wherever in the world that may be! 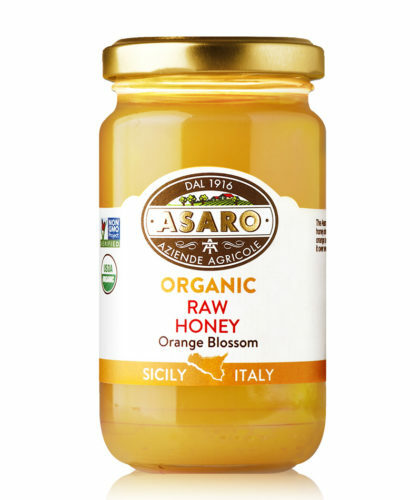 The Asaro Organic Farm is a family owned estate that has existed for four generations and is located in the fertile Valle del Belice in Sicily. 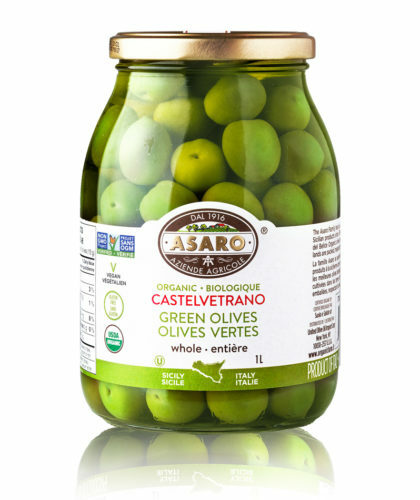 For more than 90 years the Asaro family and a local farm cooperative have cultivated the precious olives of Nocellara del Belice. 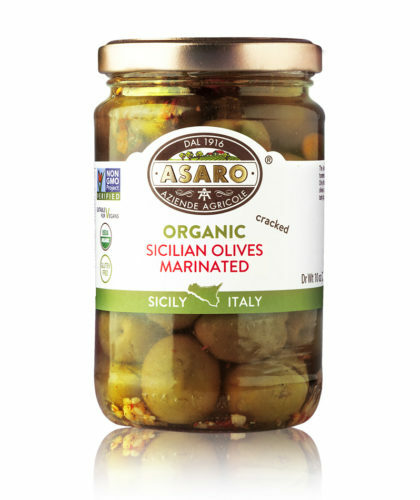 No artificial fertilizers, pesticides, growth regulators or hormones, antibiotics, food additives and genetically modified organisms are used in our crops. Our company has always been committed to a healthy sustainable lifestyle.